Need some Christmas gift ideas for your girlfriend, sister or gal pal? 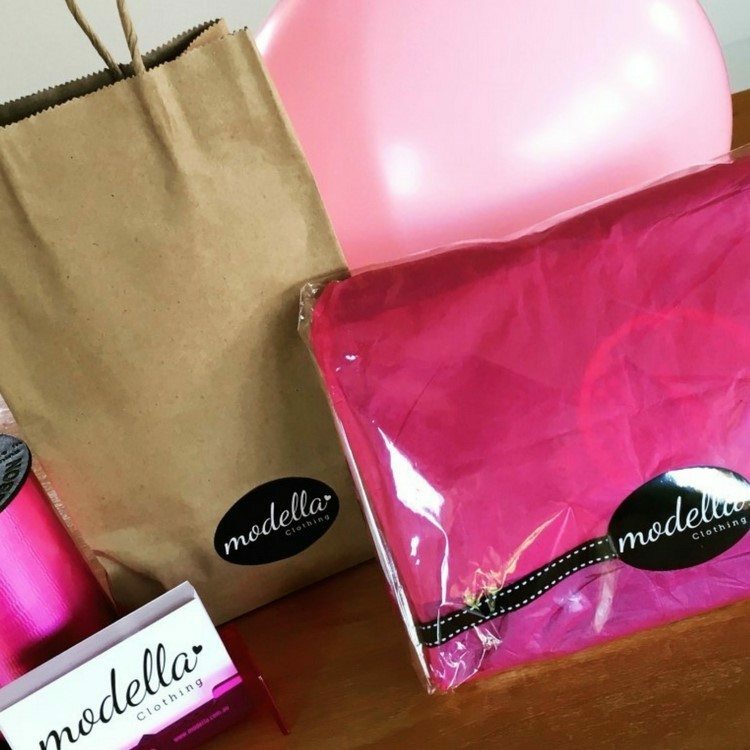 The Modella Clothing online store has an affordable range of fun, stylish fashion that would make the perfect Christmas gift for someone special. And if you are time-poor this year and the 25 December is creeping up too fast, we would love to help. Looking for a sure winner this Christmas? 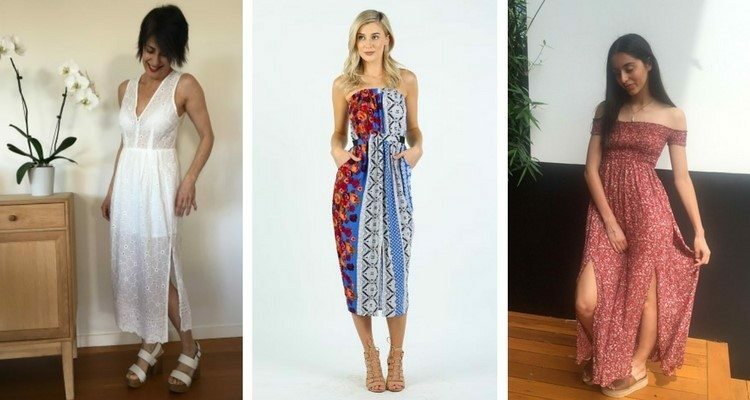 Check out this range of on-trend maxi dresses in a range of boho prints, fresh white or florals. They look fantastic for day or night with your favourite flats, platforms or heels. How can you go wrong with denim? 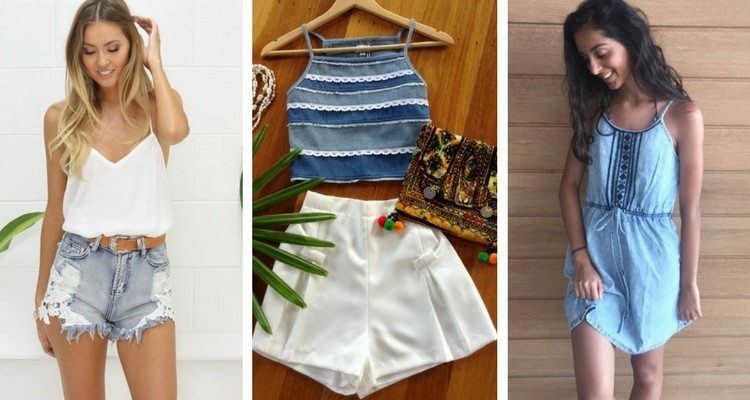 Choose from this pair of Toby Heart Ginger crochet denim shorts, Tanee denim edge top, or Mia stonewash denim dress. Just perfect for your summer holiday by the beach with tan flats and your favourite sunnies. Modella likes to make all of our customers feel special. All of our orders are beautifully hand wrapped in tissue and cellophane – so once you place your order, the gift is ready to give – easy and hassle free. If you can’t deliver your gift, (or have run out of time) let us do it for you. At the checkout, just change the shipping address to the recipient’s name and address details and we will do the rest. We offer worldwide shipping – Express Post within Australia; and various options for international shipping – use our postage calculator at the checkout for cost estimates depending on your destination country. Great Christmas gift ideas online. Where we are shipping directly to the gift receiver, we can include a free Christmas card with a handwritten message. 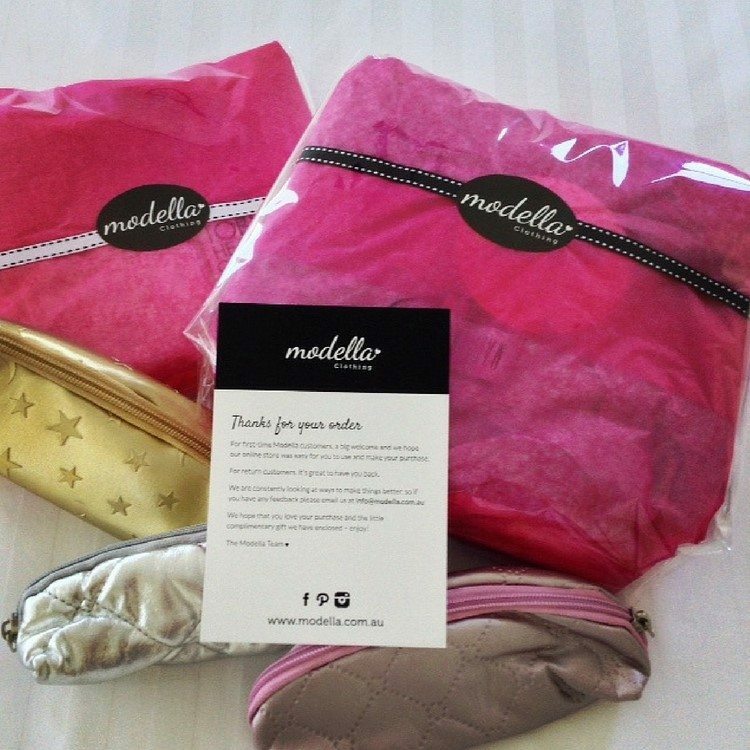 To request this service, please email us at info@modella.com.au immediately after you place your order and advise us of your order number and the message you would like us to include in the card. You don’t have to worry about the invoice either, we will include a packing slip (with all prices removed) for these orders. 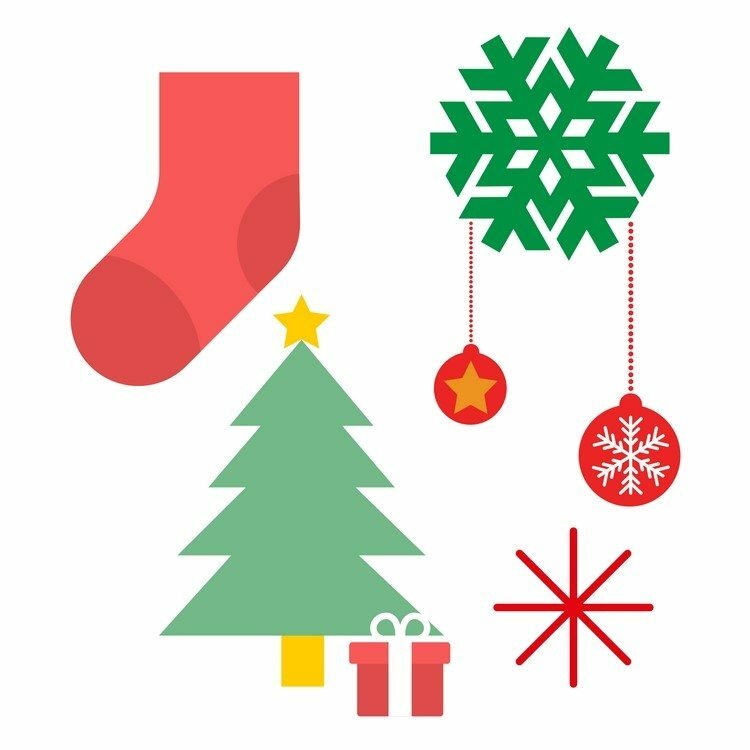 We understand that customers may want to buy gifts early for Christmas and that the normal 30 day (and 14 day for sale items) return policy may be difficult to adhere to during the holiday season. We are therefore extending our return policy for any purchases made up until 25 December to the end of January. But please remember that all other conditions apply so returns will only be accepted if items are unworn and in original condition. Remember that we have free shipping for all Australian orders over $50. If you have gifts to buy for friends and relatives anywhere in Australia, check out our great fashion range where you could find the perfect Christmas gifts, spend over $50 on your order, and you can send it anywhere within Australia for free! At Modella we love to give our customers a little surprise when they make a purchase, but since it’s nearly Christmas, we are giving you a sneak peek – so look out for your cute, bonus cosmetic purse – a little extra Christmas gift from us! To take advantage of our Christmas extras, check out our range of dresses, tops, shorts and more and start your Christmas shopping at Modella today. For customers using the PayPal option to purchase their Modella order, check out if you are eligible for the refund of the shipping costs if you need to return your item. PayPal provides this option – read more about the terms and conditions. 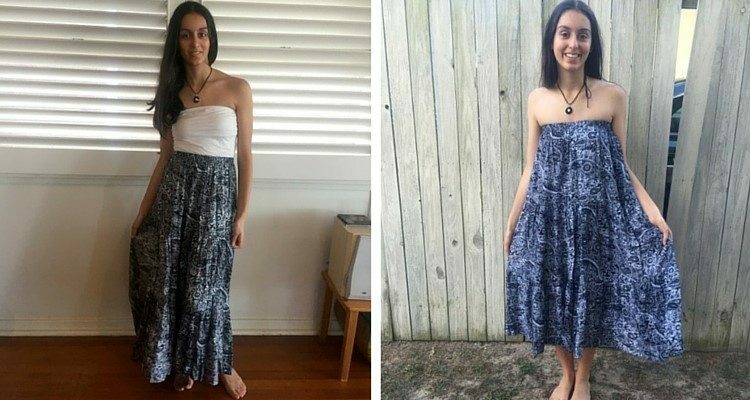 This Freez Paisley Maxi Skirt can also be worn as a strapless dress – so you get two outfits for the price of one. And check out our Tanee Which Way Daisy Dress – this gorgeous denim mini dress can be worn two ways – with a scooped neckline or scooped back – you choose and they both look great! What about some boho styling? How cute is this Toby Heart Ginger singlet top, our Red Goddess Dress is the perfect outfit for Christmas day, while this Boho Print Dress is a great Christmas gift for that summer holiday season. Still looking for more Christmas gift ideas for her? Bags and accessories are a great option. 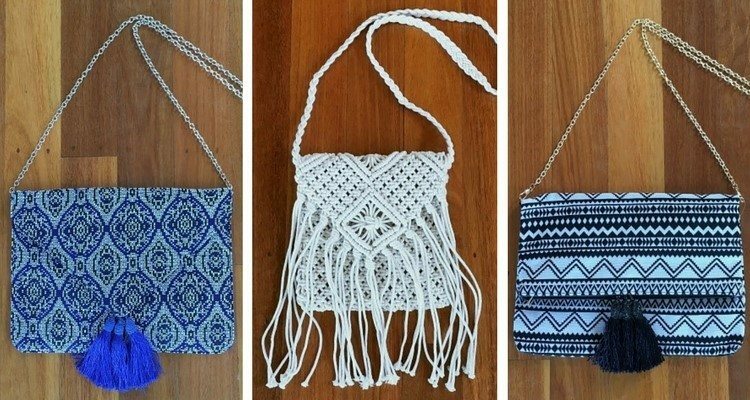 Check out our boho inspired selection, all under $40! Shop here for more Modella fashion and accessories. Have fun with your Christmas gift ideas for her in 2016. Hope you all have a great holiday season. Happy shopping from the Modella Team!